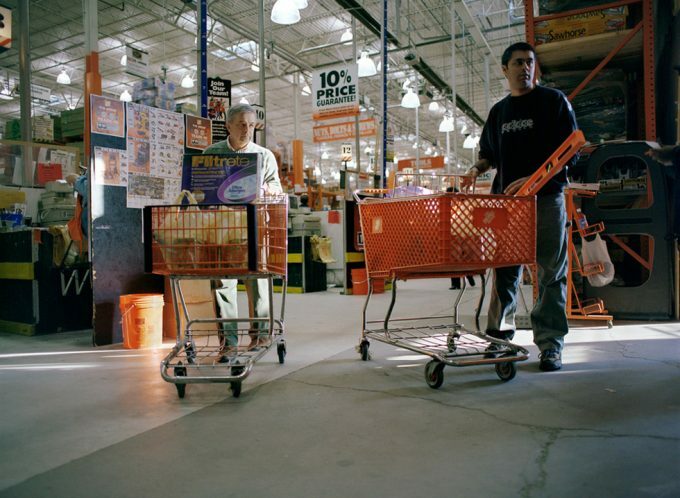 Brian Ulrich’s photographs explore contemporary consumer culture. After completing his MFA in photography at Columbia College Chicago, Ulrich spent considerable time working at the Cleveland Museum of Art, often staying after hours to sift through the vast archives of photography. It is this understanding of the history of the medium that informs much of his work which today addresses issues social, political, and historical. His work is represented in the collections of the Art Institute of Chicago; Cleveland Museum of Art; Museum of Fine Arts, Houston; Museum of Contemporary Art, San Diego; and the Museum of Contemporary Photography, Chicago. In 2009, Ulrich was awarded a John Simon Guggenheim Memorial Fellowship.